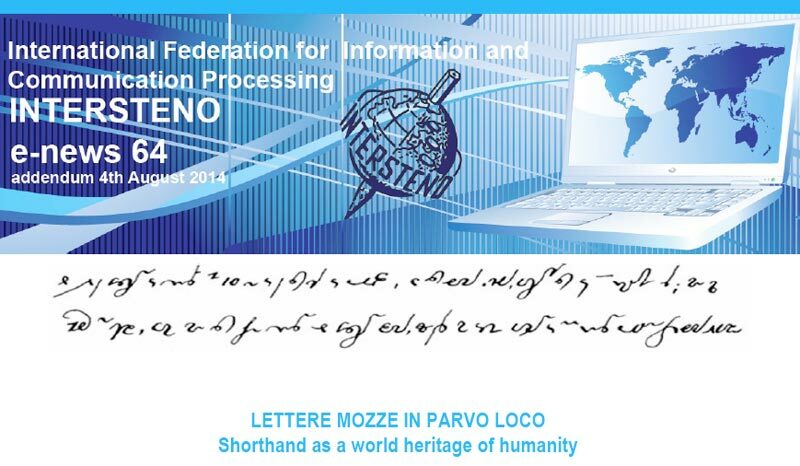 To do so, the most important figures in the field of shorthand will gather in Rome on September 29th, 2014 in the magnificient Sala degli Atti Parlamentari of the Italian Senate, in Piazza della Minerva 38, from 10:00 a.m. to 01:00 p.m. The programme includes three keynote speeches by three international experts and two panels of experts who will answer questions on the importance of shorthand as a professional tool and as a means of culture transmission. or you can download it at the enews menu of our web-site. We hope you will spread this information to your colleagues in order to support this Interteno project also in your Country.